It is important for those who re-enter the workforce after retirement to be aware of the technicalities when it comes to contributing back into their superannuation fund. 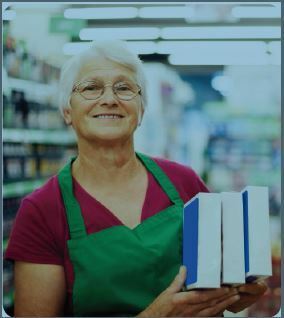 Today, it is quite common for Australians aged over 60 to return to some form of work after retirement. But those who are fortunate enough to acquire a job after leaving retirement must ensure that they address the technicalities of re-entering the workforce appropriately. Returning workers can make two types of contributions: concessional and non-concessional contributions. Concessional or ‘before-tax’ contributions are taxed at 15% when entering the super fund. Non-concessional (after-tax) contributions do not have a contributions tax when entering a super fund since these contributions are already considered to be from an income that has already been taxed at some stage. Owners of small businesses may be eligible for special capital gains tax (CGT) concessions when planning for retirement. There is also an important distinction in regards to the type of work that returning workers must perform. To contribute back into a super fund, workers must work for “gain or reward”. In other words, they cannot engage in volunteer work and must be paid some kind of salary. This working requirement does not affect employer superannuation guarantee contributions (9.5 per cent of a salary) and relates to workers making additional contributions through after-tax contributions or salary sacrifice. Workers can make super contributions up to the age of 74. Once workers reach the age of 75, no more voluntary super contributions can be made. There is also no need for returning workers to open a new fund. Their current superannuation fund should accommodate to their new accumulation account as well as their existing pension account. However, workers cannot add any new contributions to their existing pension account, which is why they need to have a separate accumulation account. Personal circumstances need to be taken into consideration when determining whether there will be cash flow or tax advantages in ceasing the pension. There is no requirement to stop a pension, but it is best to seek advice in regards to this. Returning workers who, after a few years of working, decide to exit the workforce again, will have their accumulation account built up from their most recent work. They can choose to start a new pension with their accumulation account (so they draw two separate pensions from their super fund), or they can stop their existing pension and add their accumulation account to it so only one pension goes forward. An individual’s circumstances dictate the decision to have one or multiple pensions. It may be worthwhile to maintain separate pensions or simply leave the accumulation account as is and rely on the existing pension account.